Fountain Pumps are designed to push the water high so generally have a higher power consumption than filter pumps. They have a different shaped impeller to create pressure and will have a fine strainer so that particles do not block the fountain jets. 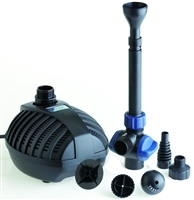 If a good filtration system is in place then it will reduce the frequency of cleaning the fountain pump strainer. High performance pump suitable for features and filters. 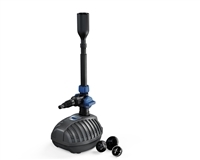 Good pump for fountains & water features. Can also be used with Green Genie 3000 filter. 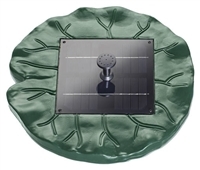 Detachable wings can be used on the pump or as an extension in a shallow area of the pond for easy control of fountain height. 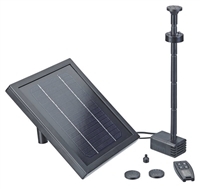 Has integrated spotlight holder (light purchased separately) and base footings with slotted holes for secure positioning.